North Shore Medical Center: a top-rated alternative to a Boston pediatrics hospital. North Shore residents seeking high quality pediatrics receive world-class care at North Shore Medical Center (NSMC), a convenient alternative to a Boston pediatrics practice or the pediatrics department at a Boston area hospital. Pediatric specialists at MassGeneral for Children at North Shore Medical Center include physicians from the Boston pediatrics department of MassGeneral Hospital for Children in Boston. At NSMC, parents find a full spectrum of pediatric care that rivals any Boston pediatrics department. In addition to pediatric primary care, we offer a broad range of pediatric procedures and services, including diagnostic radiology, multidisciplinary evaluation, neurodevelopmental center, pediatrics rehabilitation services, and many other subspecialties. NSMC pediatric specialists collaborate with specialists from the Boston pediatrics department at MassGeneral Hospital for Children. Learn more about NSMC’s pediatrics services. Specialists from the pediatrics department at MassGeneral Hospital for Children in Boston see patients at MassGeneral for Children at North Shore Medical Center (Salem) and at the Mass General/North Shore Center for Outpatient Care in Danvers. Pediatric patients also have access to comprehensive mental health services through NSMC's psychiatry department, including treatment for developmental disabilities and behavioral disorders. Patients receive treatment on an outpatient basis or at our in-patient pediatric psychiatry unit at NSMC Union Hospital. 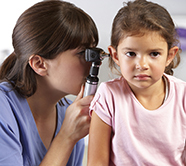 Find a pediatrics specialist or primary care physician near you. To find a pediatric specialist or primary care doctor in the greater Boston North Shore area, visit the Find a Doctor page on the NSMC website. You can search for a specific physician by last name, or by the name of the practice. You can also search by clinical specialty, such as pediatric dentistry or pediatric pulmonology. Search now for a pediatric physician, or use Find a Doctor to search for a gastroenterology Boston practice, an alternative to cardiac surgery Boston, options for thoracic outlet syndrome surgery and more.